When you dig into the fields of the agriculture industry, a whole lot of information can be found. For instance, did you know that farming began in 10,000 BC, figs were one of the first cultivated fruit crops, bananas are the #1 fruit crop in the world and 4th largest behind wheat, rice and corn. Also of note, the US government defines a farm as any establishment that produces and sells (or would have produced or sold) $1,000 or more of agricultural products during the year. Finally, for every $1 spent on food, farmers take home 12 cents for the raw product. 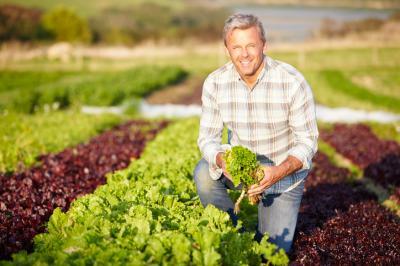 Certainly, the agricultural lending business is not a niche suited to every bank. But for those banks that choose to cultivate this market, well, the rewards can be abundant. Whether a community bank is based in traditional heartland of the Midwest, the citrus-growing Southeast, the cattle ranch areas of the mountain regions, or among the commodity crops of central California, agricultural lending can offer substantive growth to those who focus on this market. Of course you must carefully manage risk, reach out to federal resources, offer other ag-related banking products and specialized support, but it can all work quite well for those who make a go of it. Recently, the topic of agriculture lending has taken some hits. Bankers have been caught between the demands of the Dodd-Frank regulation and risk-monitoring specific to agricultural, along with customers seeing plummeting farm income in some regions, increasing farmland prices and dipping commodity prices. In fact, overall farm income dropped 38% between 2014 and 2015, according to the Department of Agriculture. However, for many community banks, this portfolio is still strong. Indeed, community banks are responsible for about 75% of all the country's agricultural loans, according to a 2016 report by the Dallas Fed. Approximately 1,500 US banks are defined as agricultural banks by a Fed whitepaper entitled, "Successfully Managing Agricultural Credit Risk Regardless of Agricultural Market Conditions". Of course, the risks in agricultural lending have arguably increased since the Fed initially issued supervisory guidance on expectations for managing this credit risk in October 2011. But, as is typically the case in the financial industry, with risk comes reward. Many community banks find their relationships with the ag community as highly rewarding. For some banks, courting farm communities can deepen opportunity with small businesses and commercial lending. Banks can build close bonds with farmers by even selling crop insurance or other related products, as well as originating loans. In addition, by reaching out to the emerging Millennial, the next generation of farmers and ranchers could give community banks an expanded opportunity in the future as well. This younger group has a strong appetite for online banking and bill payment, as well as mobile banking and remote deposit capture services. Tapping into the tailored needs of the agriculture industry can give community banks a way to support local businesses and increase revenue. To do so, it is important to pay careful attention to commodity fluctuations, the level of federal support, the development of the industry, technology and a host of other factors. All play an important role for banks interested in exploring the best way to enter this sector of lending. Yields pushed up 1bp as investors waited expectantly for the Republican House healthcare vote to pave the way for tax reform. The OCC is telling large banks not to cut ties with foreign clients due to money laundering concerns, unless there is a tangible cause for that concern. The only problem here is that fines for mistakes can be enormous, bankers can do little to protect themselves and regulatory scrutiny in this area is extreme so the risk in many cases is nearly unquantifiable. The OCC reportedly took the action to address ongoing and significant cuts of certain groups of customers by banks across the country (given extreme concerns about being penalized under BSA/AML). Don't look for banks to stop firing customers though, because AML is a national security issue and regulatory flexibility here is very low, so the risk in many cases outweighs opportunity. Either that, or unless and until regulators significantly change the way they approach this issue and bank fears begin to subside. Wells Fargo becomes the first major US bank to roll out cardless ATMs across the country, allowing customers to withdraw money using their smartphone. Customers just sign up for mobile banking, get an 8 digit code to enter and can then start pulling cash from ATMs. Bloomberg reports some of the largest banks are aggressively moving to replace manual processes around AML with digital ones, as they seek to reduce compliance staffing levels and costs. 1) The Union Bank Company ($632mm, OH) will acquire Benchmark Bank ($132mm, OH) for about $29.5mm in cash (100%). Fed Dallas president Kaplan says he expects 2 more rate hikes this year. He also said he would support a plan to gradually reduce the Fed's $4.5T balance sheet. Bloomberg reports 52 of the largest 100 US cities had more renters than homeowners in 2015 (the latest data available). In some cities, this is the lowest level of homeownership in 50Ys.